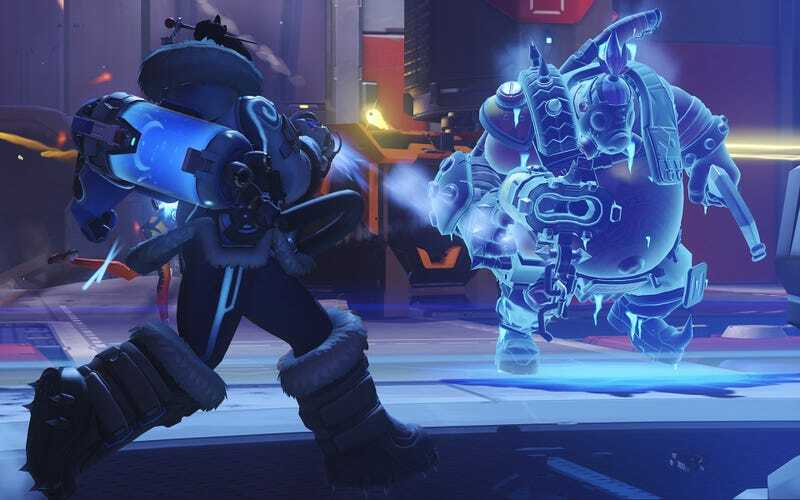 If you check Overwatch data-mining sites right now, you’ll see something curious: the top-ranked Korean competitive player has hundreds of losses and only a few wins. Ah, the magic of glitches. What seems to have happened is, Korean player IzA aimed for rock bottom, much like Dale “Bacontotem” Brown—who I recently profiled—last season. IzA managed the feat with startling speed (I reached out to Brown, who said his skill rating is currently 432, for perspective). After losing hundreds of matches, they hit zero. At that point, the game suddenly awarded them with the most coveted number in all of Overwatch: a skill rating of 5000. They’ve since lost some matches, but they still have the highest skill rating of anyone measured by these sites. Now, last season, when Brown hit SR 0, the game just reset his progress at SR 1. Season two, however, has a whole new version of the skill rating system that goes from 1-5000 instead of 1-100, and it’s divided up into tiers. For whatever reason, it also apparently lacks a safeguard against players who decide the only way up is down, down, down. I’ve not been able to reach IzA, but Brown told me he’s encountered more Korean players attempting to tank their skill ratings. I’ve reached out to Blizzard to find out what they plan to do about all of this, but I’ve yet to hear back from them.